Scotland, along with Ireland and Wales, are looking to break England’s six-year hold on the Girls’ Home Internationals at Donabate Golf Club in Ireland tomorrow. Scotland, in 2007, was the last country to win the event before England’s dominance. That winning team included five players who now star on the Ladies European Tour, and this year, the Scottish team is packed full of experienced. Both Lauren Whyte and Clara Young are returning for their fourth Girls’ Home Internationals caps, while four of the Scots players were also in the 2013 team. Ireland will be hoping to make home advantage count this year, with the matches taking place at the home club of the top Irish amateur Mary McKenna. Winner of the 2014 Irish Championship, Mary Doyle, is in the Irish squad, as is Julie McCarthy, the Scottish Under-16 Championship winner. The pair are joined by the Irish Girls Open Strokeplay Champion, Olivia Mehaffey. The Irish ladies will be looking to go one better and win the Girls’ Home Internationals this time around, having pushed England so close last year. 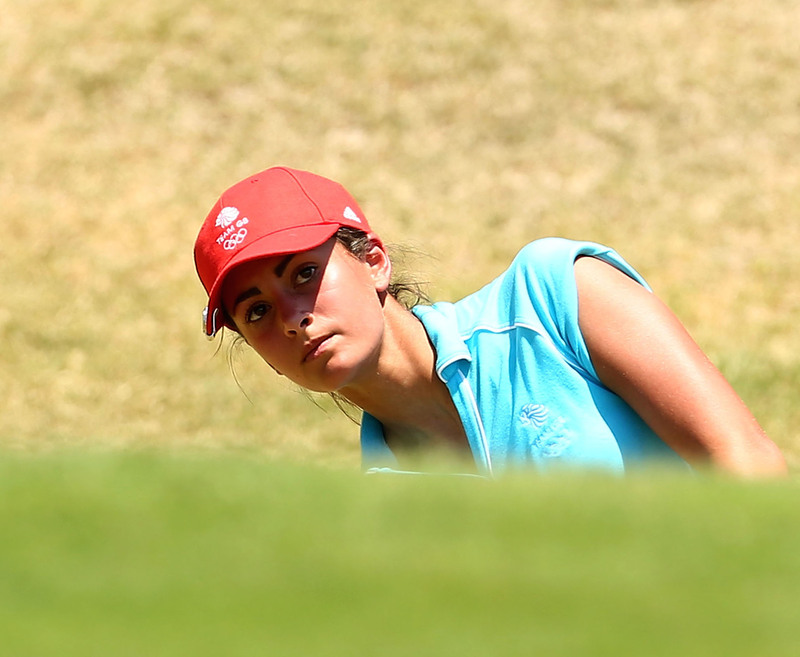 The English team is captained by Chris Pascall for the fifth time and features India Clyburn of Woodhall Spa, the recent winner of both the Scottish Junior Strokeplay and the English Girls’ titles. A strong squad heads to Ireland squad looking to defend their Girls’ Home Internationals crown. Meanwhile, history isn’t on the Welsh team’s side, with the country still to record its first-ever victory in the round robin series of matches. However, they do have a title-holder in their ranks in Welsh Girls champion Megan Lockett. Runner-up in that event, Nicola Wainwright also makes the trip to Ireland in search of a maiden win for the Welsh. With many former players now playing on tour, Trish Wilson, LGU chairman, explains how the contest helps mould young talent. “Playing in the Girls’ Home Internationals has often been a springboard to a top amateur and even a professional career,” said Wilson. “It introduces talented young golfers to the excitement of playing golf for their country, and allows them to match their skills with those of their peers from the other nations. Spectators can see the action free of charge at Donabate from August 6-8. England: Emma Allen (Meon Valley), India Clyburn (Woodhall Spa), Alice Hewson (Berkhamsted), Sophie Keech (Parkstone), Sophie Lamb (Clitheroe), Inci Mehmet (Wentworth), Hollie Muse (West Lancashire), Elizabeth Prior (Burhill). Captain: Chris Pascall. Ireland: Ciara Casey (Hermitage), Mary Doyle (The Heath), Mairead Martin (Killarney), Julie McCarthy (Forrest Little), Niamh McSherry (Lurgan), Olivia Mehaffey (Royal County Down Ladies), Chloe Weir (Shandon Park), Annabel Wilson (Lurgan). Captain: Darragh McGowan. Scotland: Mirren Fraser (Powfoot), Joanne Free (Gullane), Connie Jaffrey (The Ladies Golf Club, Troon), Hazel MacGarvie (The Ladies Golf Club, Troon), Shannon McWilliam (Aboyne), Heather Munro (Monifieth), Lauren Whyte (St. Regulus), Clara Young (North Berwick). Captain: Laura Walker. Wales: Sadie Dewinton-Davies (Aberdovey), Angharad Evans (St Pierre), Lucy Jones (Wrexham), Georgia Lewis (Llanishen), Megan Lockett (Huddersfield), Bethan Morris (Tenby), Jordan Ryan (Newport), Nicola Wainwright (Rhuddlan). Captain: Kay Bradbury.